Office volunteers – come in, have a cuppa and lend a hand! Yorkshire CND has a number of brilliant regular volunteers in our office. We have a finance volunteer who helps us keep track of our incomings and outgoings in the office and works alongside our Treasurer. We have a volunteer who helps us with news articles and the design of our newsletter, and a volunteer who helps with student activities at Bradford University. We also have a network of people we can call on when we need additional administrative support, and help with mail-outs or particular events. Campaigns Assistant (Events & Online Shop Management) – We are looking for two types of Campaigns Assistants. 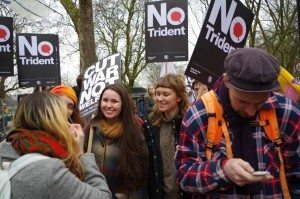 Firstly, general volunteers to work on the Trident campaign, this will be very varied and unpredictable work, working closely with the Campaigns Workers; secondly, there are roles for self-starters covering some of the vital campaigns work. Online shop management utilising WordPress/WooCommerce. Database events management using CiviCRM. General administrative duties – Ad hoc events support. Campaigns Assistant (Nuclear Power) – The UK Government favours the development of new nuclear power, at a time when most of Europe are moving away from it. They have committed to a new power station Hinkley Point, which will provide the most heavily subsidised electricity in Europe. 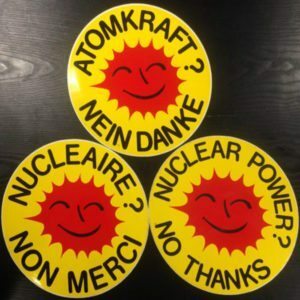 We at CND believe that nuclear power is a false solution to climate change, when cheaper, decentralised renewable systems exist, that do not require hugely polluting uranium mining in other countries, do not leave us with waste we have no solution to and don’t carry the risk of catastrophe due to accident or deliberate terror attack. Getting up to speed on the current arguments around nuclear power. 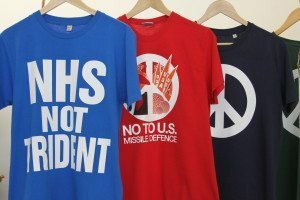 Provide a point of contact for other CND groups and organisations working on the Stop Hinkley Campaign. Maintaining the areas on the website related to nuclear power, with the latest news, events and campaign resources. Keeping the office stocked with campaign materials. Work with other groups locally and nationally to campaign on the issue through organising demonstrations, lobbying and other events. Minimum 5 hours per week (working from home is possible). Social Media Campaigns Assistant (Peace Culture) – While the central role of CND has always been nuclear disarmament, we’ve also played a vital role in opposing conflict and promoting peace more generally – hence the central role of our logo as a counter-cultural symbol. For many CND represents more than just a campaign they support, it is part of their identity, it is their community – we’d like your help in introducing a whole new generation to this community. Via the creation of easily shareable meme’s we’ll demonstrate the depth and breadth of the peace movement in the UK and globally, how far we have come and what we have achieved. 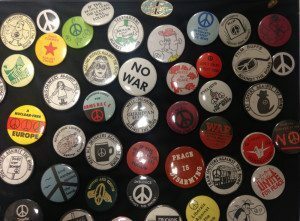 Identify key events from the history of the peace movement – what surprised you or made you think differently about the way the world works, what made you smile? You will work with the campaigns workers to create a recognisable and documented meme style. Produce a range of attractive and powerful memes – accompanied by text crafted with relevant hashtags and handles to create maximum reach. Use social media tools (such as tweetdeck) to pre-program in social media activity at most appropriate times of day. Monitor the success and takeup of campaigns and tweak and develop accordingly. Minimum 10 hours per month. Time schedule to be coordinated with YCND officers, remote working a possibility. 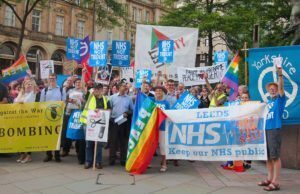 Membership Assistant (Trade Unions) – Trade Unions provide vital support to CNDs campaigns, promoting our demonstrations amongst their membership and often helping to subsidise transport and other logistics. Their support is all the more important as it counters arguments that we need to maintain nuclear weapons due to the jobs they provide. Strengthening our relations with existing member branches. Promoting membership at a branch and regional level. Identify example resolutions from a range of Trade Unions at branch level and national level (in conjunction with national CND). Develop section on the website with latest news and upcoming events, relevant to Trade unionists, example resolutions and documentation of the position of the TUC/STUC on nuclear weapons. Support local branch members in preparing resolutions, arranging speakers etc. 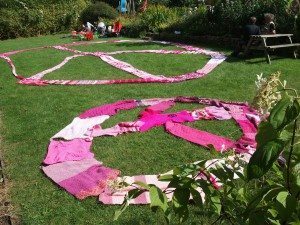 Fundraising Assistant – Yorkshire CND raises a good deal of its funds via a number of large public fundraising events throughout the year, we have also had occasional grants from funding bodies. We are looking for an individual with an interest developing their fund raising experience by helping us further develop the grant funding options during this crucial time. Identifying potential funders and funding streams – experience using Funderfinder or similar software would be useful but is not essential. Drawing up a time-line of funding deadlines through-out the year. Working with the Fundraising working and other staff and management committee members to develop funding bids. Volunteering with Yorkshire CND has been an amazing experience. This opportunity allowed me to gain a valuable insight into the campaigns sector and the organisation gave me the freedom to choose the areas I wanted to gain direct experience. The staff were amazing and have been friendly and supportive throughout the duration of my experience. I have gained tonnes of experience in a range of different areas including events, communications, administration and website management. I would highly recommend Yorkshire CND to anybody looking to actively develop new or existing skills and is passionate about creating a world free from the horrors of nuclear weaponry. Our office is opposite the University at 2 Ashgrove, Bradford BD7 1BN. If you are interested in any of the above positions please contact info@yorkshirecnd.org.uk or call 01274 730 795. It is also possible to just pop into the office for an informal talk on exactly how you would like to get involved. We are very flexible!